Welcome to aerialartstoronto.com, the new home of FLY WITH ME. Stay tuned here for new classes, registration info, and more! Workshops that we have had Bio Mechanics with Charlie Faraday, Flexibility with Erin Ball and Rope workshop with Scotty Don’t handstand with Christopher Taylor, Ladder with Marsha Kennington! Character Development and flexibility with Angola Murdoch ! 2 hr Events ! 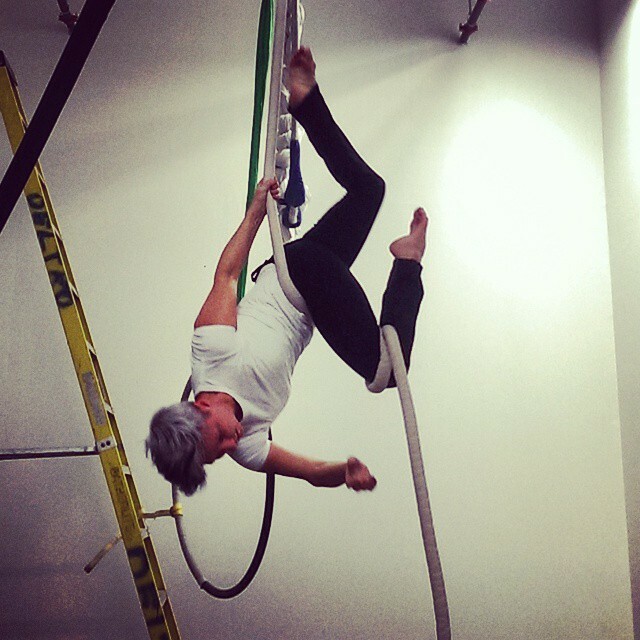 Have fun and try out aerial class with your friends, family or co- workers! Great way to celebrate anything! Work shops ideas welcome – Straps, hola hoop, Stilt walking -Hammock with Diane McGrath Lokos! Ground work with Eric Lui. This entry was posted in News on December 18, 2013 by flywithme.